To all our special people out there- have a lovely day on Sunday from all in Year 6. An author (A Time-lord) visited our school last week; she was so entertaining! We had great fun being characters in different stories while learning about different, famous authors such as Roald Dahl, Beatrix Potter and Julia Donaldson. Some of our class entered the cross-country event at Watergate Park. We had fun but it was hard work! This was the Time-Traveller who told us all about different authors but in a really fun way. She also told us the story of the Emperor's New Clothes which, I think you will know, didn't exist so he stood in front of the town in his under clothes and his crown! We really enjoyed the workshop. We absolutely loved Jarrow World(Bede's World to all the parents who visited while at school!) We saw Anglo-Saxon animals, the houses in which they would have lived, the Great Hall to hear about the legend of Beowulf and tasted Anglo-Saxon biscuits-not everyone liked them as you can see in the photos! If you look closely, you will see the fattest duck and the largest pigs ever!! We also held a 'moot' which is the Anglo-Saxon version of a trial by jury. After a week off, Year 6 are back working hard investigating 3D shapes! Drama is a fun way to help us with our writing. This is a scene from the story 'The Fib' which is about a boy who can't have a balaclava so steals one.....except he doesn't! Today, Year 6 have been completing a maths challenge to see who is on fire! Welcome back Year 6! Hope you all have had a lovely Christmas, this term we will be learning all about the Anglo- Saxons in Topic and Electricity in Science. Thanks to all of the parents who came along to our Christmas craft session! We hope you enjoyed it as much as we did. Check out our bar models - happy Barcember! In the first week of December, our class are taking part in 'Bikeability'. This has replaced the old 'Cycling Proficiency' and teaches the children to be safe on the public highway. Our new topic is WW2; we are excited to be exploring the political aspect this half term. We will be exploring Nazi policies and finding out about political leaders during that time. In addition to this, we will also be visiting Safety Works, a children's centre in Benwell, which teaches children how to keep themselves safe at home and out and about. In Science, we will be learning about how our body works especially the main organs. 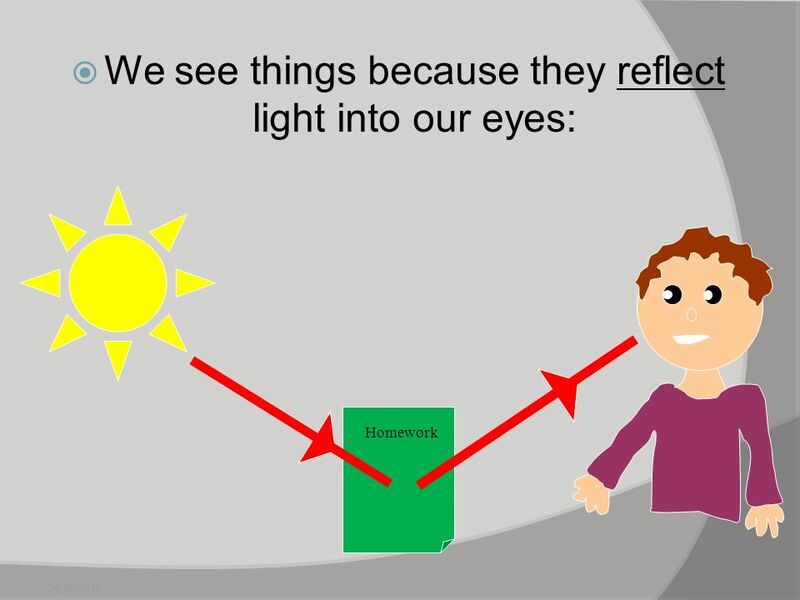 Our topic this half term is Light. We will be exploring the speed of light, how light travels and the formation of shadows. The children will use torches to find out how shadows change and will find out how our eyes see things. Hope everyone has had a fantastic summer and is now refreshed and ready for the challenge of Year 6. This half term we are starting with an enrichment fortnight focusing on maths, design technology, science and engineering. We will be looking at moving vehicles. We will be exploring cars, motorbikes and anything else exciting that moves! Each Friday the children will receive literacy and maths homework. Homework is due back on the following Wednesday and the class spelling test will take place on a Friday morning. We had a fantastic meal at Nandos on Friday afternoon. The year 6 children demonstrated what a truly special class they are and performed to the max on Friday. Tissues were available for parents staff and children!. I know they are going to achieve great things in the future- Good Luck! As you all know, Year 6 went to Dobroyd Castle for their annual residential. It was the most amazing place with lots of activities crammed into the weekend. The leaders for the weekend were called India and Paul who were fantastic. The children absolutely loved it! Mrs Kendrick has been teaching our class how to play the recorder and read music. They are all really good and seem to enjoy it! Welcome back. We hope you have all had a lovely holiday and the children are ready to start the new year. Our topic this half term is Ancient Greece and the homework is fab! We visited 'Safetyworks' in Benwell, an interactive safety workshop to teach children and young adults how to keep safe in the home and outside. It was interesting learning about how to keep safe if there was a fire in the home, how to act at the Metro station, some basic First Aid and spotting dangers in and around the house. As part of our topic (Africa), we have been looking at endangered animals. Some of the children created an information text about the African Elephant. Take a look and find out about the largest land mammal in the world. Year 6 have been looking at different genres of writing. They created a drama in the style of horror, fantasy and adventure. The dramatic reconstructions were very entertaining. We definitely have some budding actors and actresses at Brandling! Take a look at some photos of one of our Maths lessons, it is sometimes fun! Welcome back everyone! 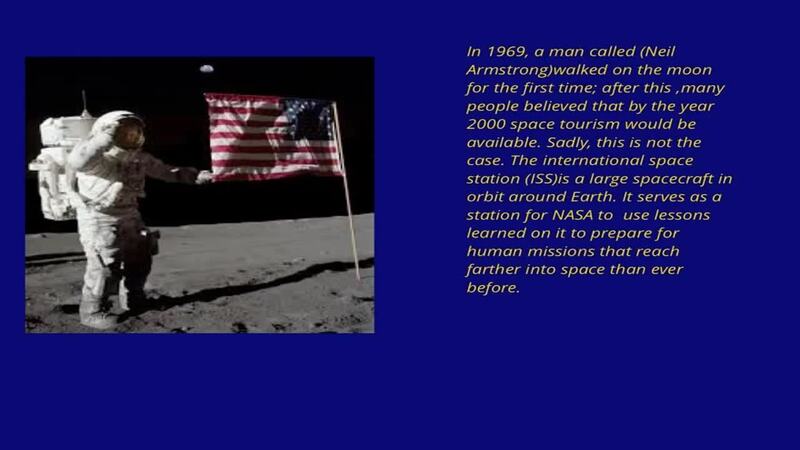 We have an exciting term ahead with our history topic for the first two weeks then 'Light, Camera, Action until October. We have a trip organised to Tynemouth Priory.We will keep you up to date with photos coming soon! Well another year is finally over. We will miss Year 6 but wish them all the best in their new schools wherever that may be. For those of you who couldn't make it (and maybe even those of you who did) take a look at the photographs of the end of year performance. Year 6 had a little help from Year 5 and it was fantastic! We had so much fun on our last Friday. We used the Fiver challenge money we had earned to hire a limo which took us for an ice-cream and for lunch at Nandos. A great end to the term! Year 6 have just returned from their residential at Gibside. They all had the most fantastic time and came back home exhausted but excited to tell everyone about it! They are in the process of creating e-books all about their time there and a selection will be uploaded shortly for you to read so watch this space! Yaay SATs are over and we can now resume 'normality'. Our topic this half term is Dinosaurs and we can't wait to study about these interesting extinct creatures. Also this term we will be creating a circuit round school-with the help of the staff from Pattinson House-which will total one mile. All classes will have the opportunity to try and complete this course when we have designed it. Our topic this half term is Australia and once again the quality of homework has been superb! The children never fail to impress us with their skills over half term! 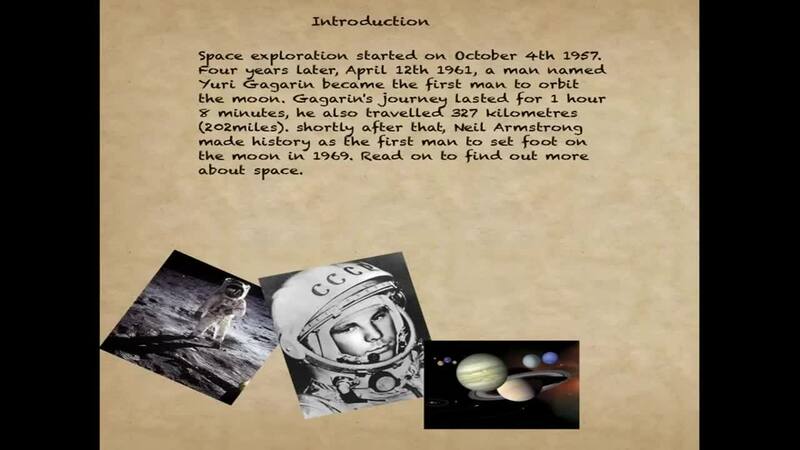 Our topic this half term was Space. 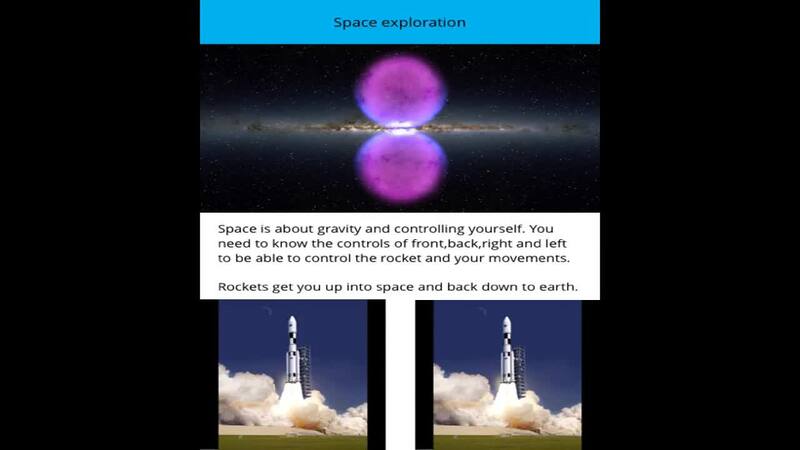 We have been using the book creator app to make e-books about space. Please take time to read them and you may learn something new! On the 1st February, I went to Felling Library with Logan, Paige, Leon and Lanie to attend one of our regular sessions of Chatterbooks. 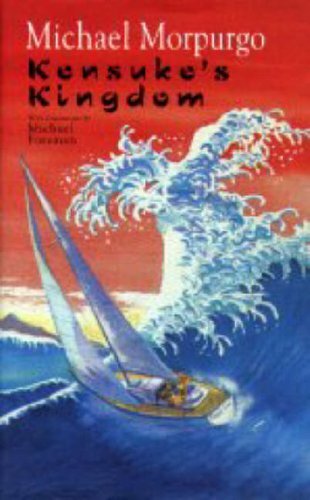 Last week we had to read Kensuke's Kingdom and when we went back we had a quiz off Beryl about it! When we needed to go back to school, Beryl gave us a Harry Potter book to read for next time. Today we went to Felling library for our chatter books meeting. As Logan had been reading a book about Vesuvius, Beryl found a video of a real volcano erupting so we could feel how the characters in the books felt. After that, we completed spy tasks because our last book was Spy Dog by Andrew Cope. We all really enjoyed these books! We deciphered puzzles and codes. Our new book is Kensuke’s Kingdom by Michael Morpurgo. We are going to read it before our next visit and then discuss it. Watch out for our next Chatter books update where we’ll tell you all about it. Spare some time to read our e-books about Anglo-Saxon life. Jarrow Hall (Bede's World) was fabulous. The children had the most fantastic time, learning new things, seeing Anglo-Saxon animals and tasting Anglo-Saxon food! 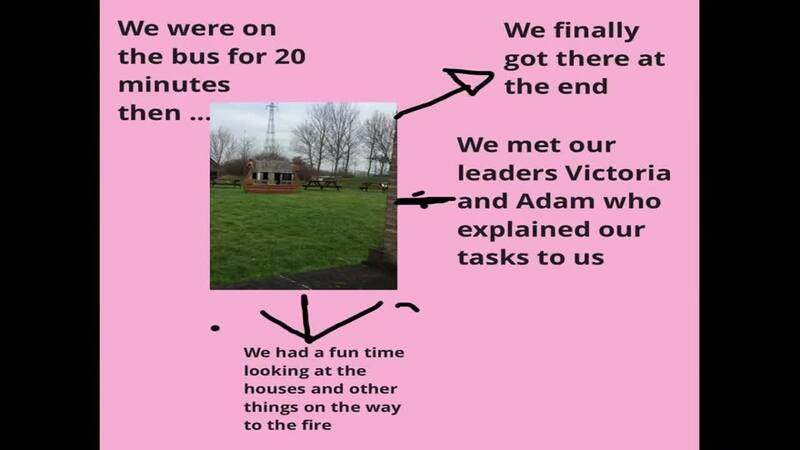 The visit was very well organised and the activities engaged the children so well that they didn't realise when it was lunchtime!!!! 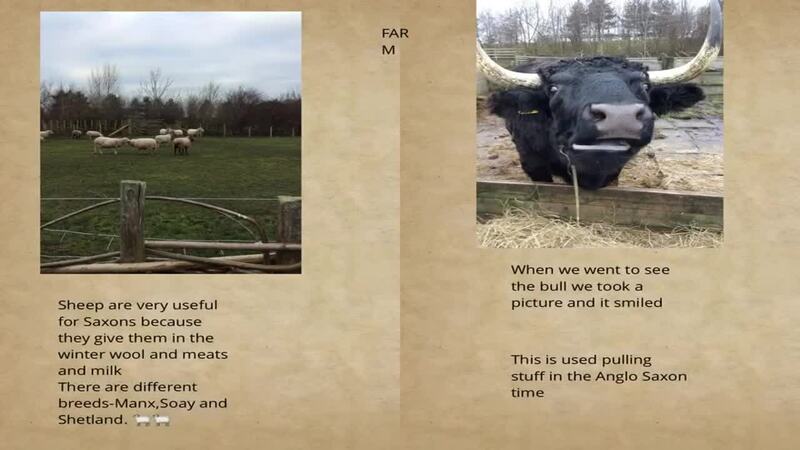 Year 6 have also started to create their own e-books using the Book Creator App on the i-pads.These will explain the visit and tell you all about Anglo-Saxon village life;they will be uploaded for you to read as soon as they have finished them. Welcome back everyone. We hope you all had a lovely Christmas and the children are ready to work hard for SATs! Our topic this term is Anglo-Saxons. Everything you need to know is in the parent overview which the children will bring home shortly. 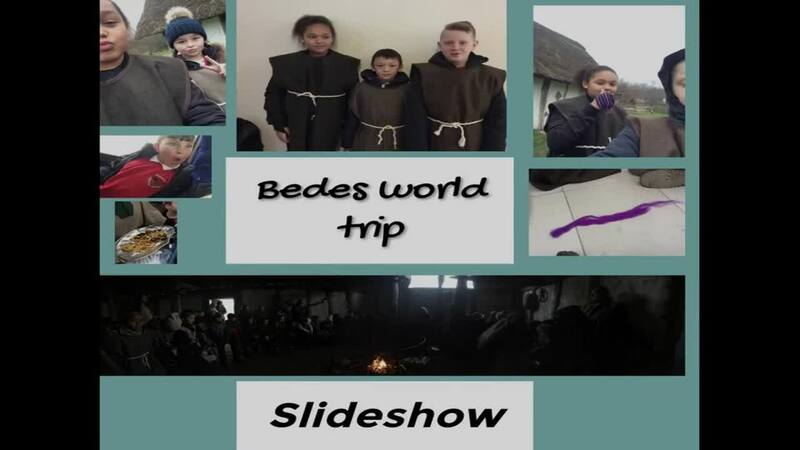 We are visiting Jarrow Hall (Bede's World) in 2 weeks time . It will be exciting and the children can't wait! It's Chrissssstmas!!!!! As you can see,we all had a fabulous time at our party. We were all excited for the last day of term when we wore our Christmas jumpers for charity and of course we would be off school for 2 whole weeks!! We hope everyone has a happy Christmas. See you in 2017! Our topic this half term is World War 2. The children are enjoying learning about the war and as you can see, the standard of homework is magnificent with models, recipes, computer graphics and even delicious biscuits! Mrs Wilson organised a fabulous Maths lesson. It was all about potions and witches and scary stuff! The class really enjoyed it without even realising the work involved was actually quite challenging! We visited the Sage Gateshead to see our school's 'Parrotpup'. We searched for all the snowdogs we could find on the way down from the Monument metro. The afternoon was exciting! Welcome back everyone. We have had a great start this week, long may it continue! Our topic from 6th-16th September is about Dogs to coincide with the launch of our school Snow Dog. We will be writing poetry, map reading using co-ordinates and finding out about breeds from around the world. Click below for some very useful websites to help you prepare for your SAT's.